It is hard to say anything because I’m not one to believe something unless I hear or read it from the main source’s mouth. But if this is true, then wow. 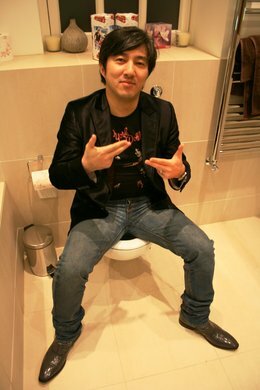 If I can say something to Suda 51 then I will tell him that I liked Shadows Of The Damned even if it wasn’t his ideal end product. It still came out good. If there was something you can say to Suda what would you tell him? Out of a lot of game companies out there, his company and he himself are the few that are doing something different, hate to see a guy like this get discouraged from making great games. This entry was posted in Gaming News and tagged ea, grasshopper manufacture, Shadows of the Damned, Shinji Mikami, suda 51 on July 17, 2012 by venusbull.